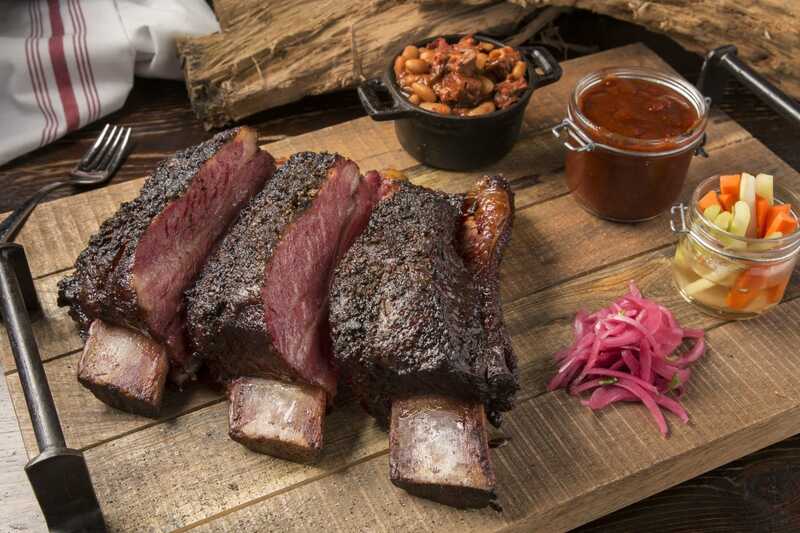 When it comes to cowboy steaks, there’s none quite like a kosher cowboy steak, and for the best kosher cowboy steak in Aventura, Miami, you better check out Fuego, Avi Bitton’s newest restaurant. You’ll be glad you did, and your stomach will thank you for it. A cowboy steak is a large bone-in rib eye steak that can weigh up two pounds. At Fuego, you can select between a 24 or 32 oz cut of steak. What makes a cowboy steak so special is the marbling. It ensures that the steak is both tender and juicy. You’ll quickly notice that the steak has a beefy flavor, and in fact, it is considered one of the most tender steaks available. Another thing that is great about a cowboy steak is that it is big enough for even the largest appetite, or there is plenty to share for two. If you’re unfamiliar with the name, cowboy steaks are also known as rib eye bone-in and rib steak bone-in. The actual bone is a raw bone that sticks out of the steak. They say cowboys used it as a handle to hold the steak while they ate it. Of course, nowadays, you can use a knife and fork and even a plate if you’d like. In the Miami area, you’ll find that here at Fuego, we only serve cowboy steaks that have been aged for twenty-eight days. Once grilled, we offer a choice of Three Corn Pepper Sauce or Chimichurri to give your steak that little something extra. Of course, that’s not all you get at Fuego. Your cowboy steak will come with a choice of two side dishes as well. Side dishes can include sweet potato fries, roasted corn, grilled vegetable skewers, roasted garlic mashed potatoes, or rice and beans to name a few. When you’re looking for a great steak and a great atmosphere, at a kosher restaurant, we’ve got them both. For fast casual dining with a little kick and great service, you won’t find a better place to spend an evening. Expect personalized service, good sized portions, and an experience you’ll be looking forward to repeating time and again. For those that like to enjoy eating outdoors, there is an outside plaza that’s a great place to enjoy the sights and sounds of this wonderful restaurant, and the best kosher cowboy steak in Aventura, Miami. We know that you have many dining choices. That’s why we go above and beyond to offer you only the finest quality ingredients, the best service, and an atmosphere that will keep you coming back for more. You’ll discover that eating at Fuego isn’t only a meal, it is an experience. Our patrons are like family and we treat them as such. Due to our splendid hospitality, do not be surprised if you leave not only with a full belly but a few new friends as well.